With such a a jewel-packed week, one poll won't cover it! 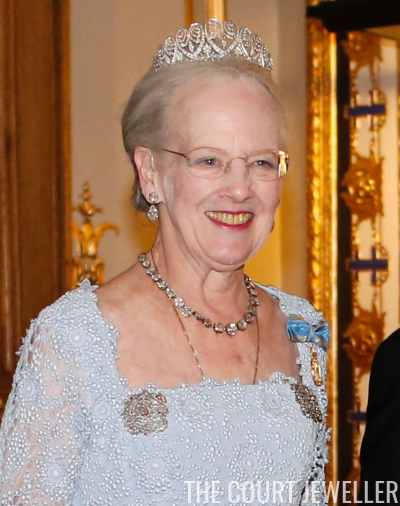 We're looking at my top ten tiaras of the week, all of which were worn at the King of Sweden's birthday gala, in this bonus post. Be sure to vote for your favorite in the poll below! 10. Margarita of Romania, daughter of the country's last king, wore her family's greek key tiara. 9. 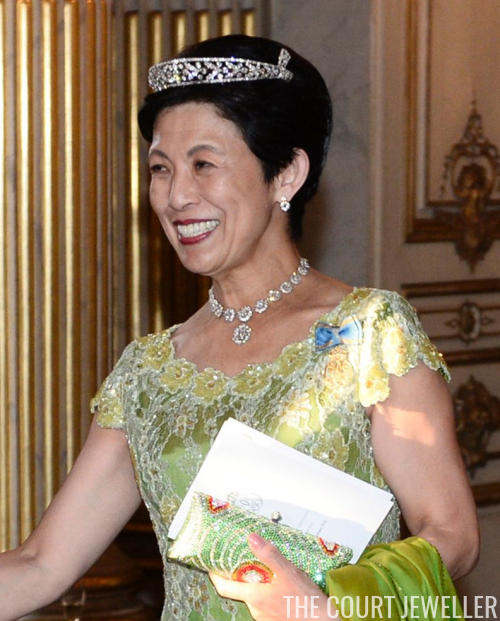 Princess Takamado, part of the Japanese imperial family, wore her diamond bandeau with a laurel-leaf design. 8, Crown Princess Victoria of Sweden wore the Boucheron Laurel Wreath Tiara, a piece that has been worn by Swedish princesses for more than a century. 7. 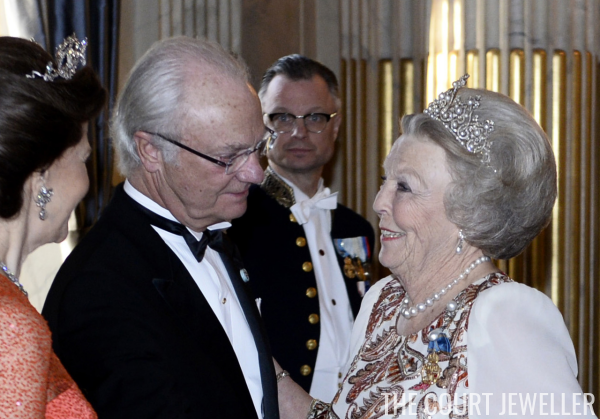 Princess Benedikte of Sayn-Wittgenstein-Berleburg paid tribute to her Swedish cousin by wearing Queen Sofia's Star and Pearl Tiara, a Swedish heirloom. 6. Benedikte's sister, Queen Margrethe II of Denmark, also wore a Swedish heirloom jewel: the Baden Palmette Tiara. 5. Kelly of Saxe-Coburg and Gotha wore the family's unusual heirloom diamond and turquoise tiara with jewels from the coordinating parure. 4. 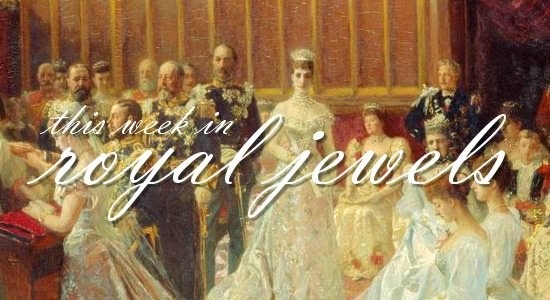 We had a rare glimpse of one tiara with royal connections: the Douglas Floral Tiara, worn by Princess Elisabeth, Duchess in Bavaria. Elisabeth was born Countess Elisabeth Douglas; her father's family are members of the Swedish nobility. The tiara is notable because it was worn by her daughter, now Hereditary Princess Sophie of Liechtenstein, at her wedding. 3. 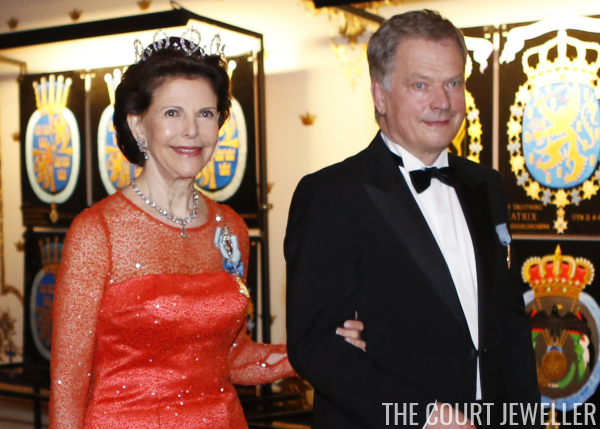 Queen Silvia of Sweden wore another tiara with a century-long Swedish heritage: the Connaught Diamond Tiara. 2. Princess Beatrix of the Netherlands wore one of the grandest Dutch royal tiaras (and her wedding tiara), the Wurttemberg Ornate Pearl Tiara. Which royal tiara gets the win this week?